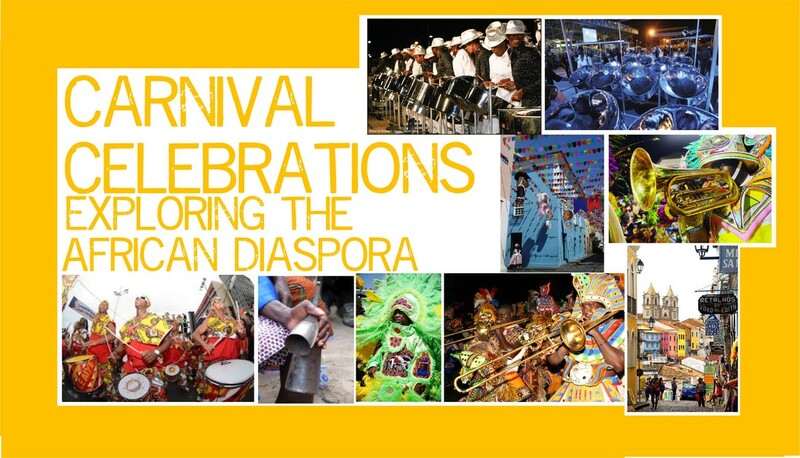 The Carnival Celebrations: Exploring the African Diaspora curriculum brings a deep awareness in African American students of the descendants of Africa living in countries throughout the Western Hemisphere. By exploring carnival traditions like Mardi Gras of New Orleans, Louisiana and Mobile, Alabama, Carnaval of Brazil, Junkanoo of the Bahamas and the Trinidadian Carnival, students are able to understand similarities and differences of Afro descendent groups in each of these countries. The curriculum features originally authored children’s books that allow students to explore Afro-Brazilian Samba School traditions, Afro-Trinidadian calypso competitions and the Afro – Bahamian Junkanoo parade. Students learn to perform samba, calypso, jazz and Junkanoo songs, percussion rhythms and dances. They also explore the cultures and African roots of these African Diasporic groups by engaging in read-out-louds of children’s books, sound recordings, mapping activities and through documentary film footage. The curriculum provides a format for students to make their own classroom carnival, complete with games, costuming, dances and songs from each culture.